Israel IAF (ISRAEL AIR FORCE) is a strong force that has already won many wars. 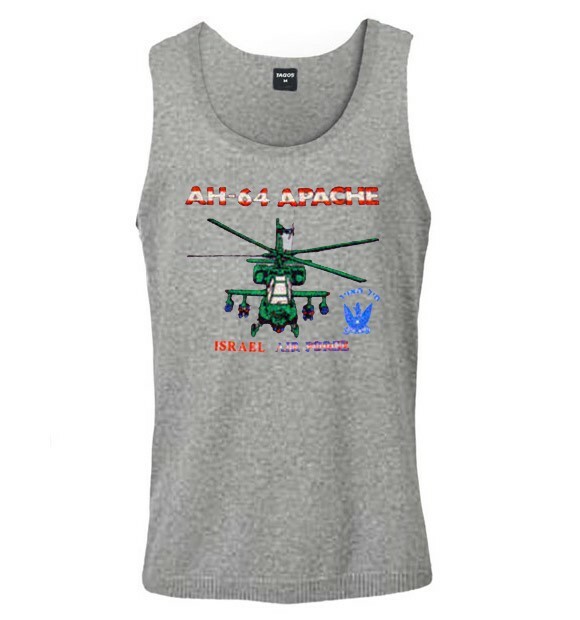 This vintage shirt is printed with a cool authentic picture of the Apache Chopper. 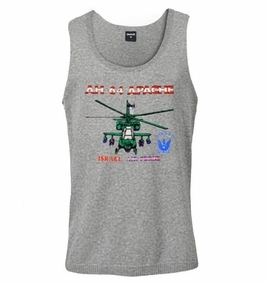 Alongside, the IAF emblem and writing in Hebrew which says "AIR CORPS". Our t-shirts are made of 100% cotton and are long lasting with bright colors. Our products are all designed and printed in Israel.